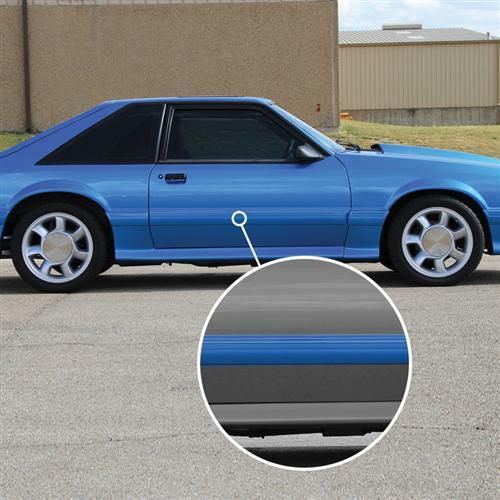 If you have missing 1987-1993 Mustang body side molding, LMR.com has got you covered. 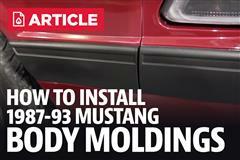 This is the body side molding for the passenger (RH) side of a 1987-1993 Mustang GT or Cobra. This molding can become wrinkled during removal and unable to be straightened back out due to the metal banding inside; thus replacing them is the only option to get that perfect look again. 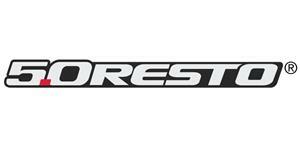 This high quality 5.0 Resto replacement will get your Mustang back in showroom condition! This part must be painted to match your vehicle. 1979-1986 Door Body Side Moldings. 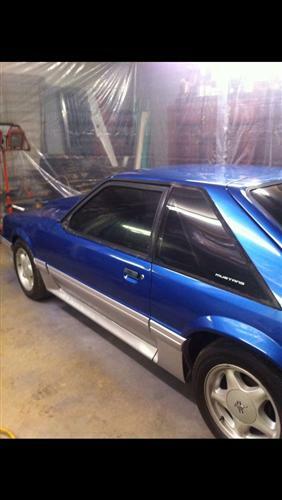 Restore the exterior of your Fox Mustang with this 1979-1984 Mustang door body side molding kit! These moldings usually become wrinkled during removal and unable to be straightened back out due to the metal banding inside; thus replacing them is the only option to get a straight molding. This high-quality reproduction molding kit features a molded urethane construction that's ready for prep and paint. The recessed C-Channel for the stripe accepts the several different stripes offered in this year range. The steel reinforcement bands were intentionally left out to prevent kinks that show through the molding. 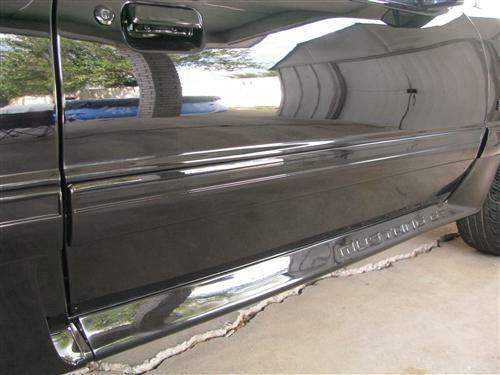 You won't find a better door body side molding for your Fox restoration project! 1987-1993 Door Body Side Moldings. These moldings can become wrinkled during removal and unable to be straightened back out due to the metal banding inside; thus replacing them is the only option to get that perfect look again. These 5.0 Resto replacements for your Mustang get it back in showroom condition! They are molded from urethane and are reinforced with metal bands. - Each molding must be properly prepped and painted before installation. - Each door body side molding MUST be warm before installing them on to the door. - 3M adhesion promoter MUST be used to ensure a proper bond between the double sided tape and door.